We can recover just about anything from the following operating systems. MS-DOS, Windows 95/98/ME, Windows NT (Workstation and Server), Windows 2000 (Pro and Server), Windows 2003, Windows XP (Pro and Home), Windows Vista, Windows 7. No files recovered, No charge! We must remind our customers that hard disk data recovery, partition recovery, virus recovery and all other types of data recovery services is a complex & time consuming process. There are instances which require the ordering of special parts which may result in additional time and cost. We recognize that in many instances, customers require their data rescue ASAP! Because of this need, we offer our emergency service which immediately dedicates us to your particular job-be it a partition recovery, virus recovery, or hard disk data recovery until it is complete. This service includes non-business hours, nights, weekends, & holidays. Our emergency service encompasses all of our recovery service options allowing you to “get back to business” in no time at all. Same day emergency service available for an additional $250.00. Has Your Hard Drive Crashed? Have You Lost Access to Your Data? Mid South Computers Can Help! You let us know what files or directories you need to recover from your hard drive. It does not matter if your drive has crashed or has been recently formatted. We will recover your files and burn them to CD Rom Disc. Your hard drive must be mechanically working, and we must be given a list of files from you to recover. If you computers hard drive is mechanically dead or not functioning properly, we will first repair your drive at out facility. 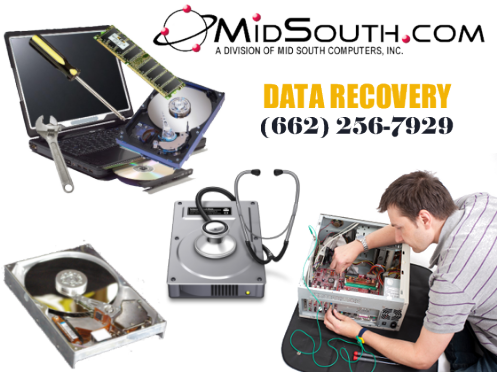 Once your drive is in working order we will then recover your data. Your data files will be burned to CD-Rom disk, or you may download them from our secure FTP server using your internet connection.